The difference between the senior generation and those in their 20s, 30s and even 40s, is that by the time the Presidential debate was over, the under 50-crowd knew exactly how well each candidate did. I didn’t, because I wasn’t on Twitter. I had to wait for the analysts and news reporters to tell me how the entire debate played out. I had my own ideas but i was clueless what others thought. Not the Twitter crowd. They were tweeting away within their own Twitter circles making remarks about everything from the color of the candidate’s ties, to their haircuts, body posture, eyeball action, and of course, remarks. President Barack Obama and former Governor Mitt Romney generated 10 million tweets, which made it the most tweeted political event ever. CNET, a tech blog, reported that the issues and the fact-checking as each candidate made his statement, got the most tweets. The two biggies were Obamacare and Medicare. Many gave their disapproval of Jim Lehrer. Some tweets where cheering Jim on to close down the debates until the candidates stuck to the rules. The wonderful thing about Twitter is that it got the younger crowd very involved in the Presidential race, something that was never a draw before. Twitter allowed them to micro blog, so they could actually report the news. They also gave their opinions as the comments were being made. A lot of educators believe that interaction on Twitter engages and teaches more than sitting idly by in a classroom. 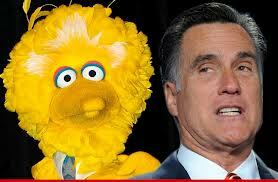 It comes as no surprise that the biggest Twitter star was Big Bird from “Sesame Street.” CNET reports that there were more than a quarter of a million Tweets calling out the Bird after Governor Romney said that he would cut Federal Funding for PBS. Mashable, another major online tech newsletter, reported that even teens got in on the act through their mobile devices. Some tweeted, but a lot were texting. Yesteryear, most young folks didn’t even know who was running for office. Now half of young adults, 18 to 24, said they have been involved in Presidential discussions. That is good news considering 16.8 million teens become eligible to vote in this election.